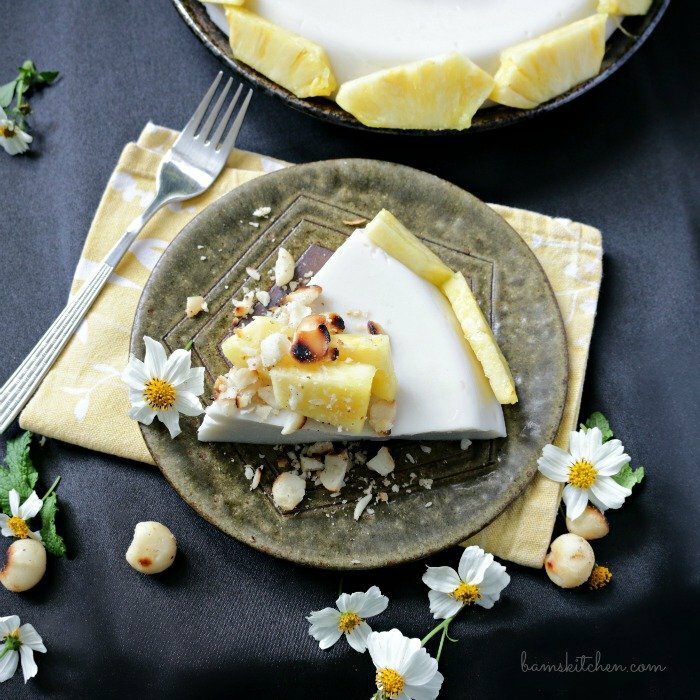 Tropical Maja Blanca pudding cake is like biting into a slice of tropical paradise topped with toasted macadamia nuts and freshly cut pineapple and is deliciously vegan, lactose-free and gluten-free. Maja blanca is a very traditional sweet treat also sometimes called a coconut cake or coconut pudding from the Philippines. Our very sweet little Shirley Vilan who has made an appearance in Bam's Kitchen many times before was making a traditional batch of Maja Blanca for her friend's 50th birthday party. 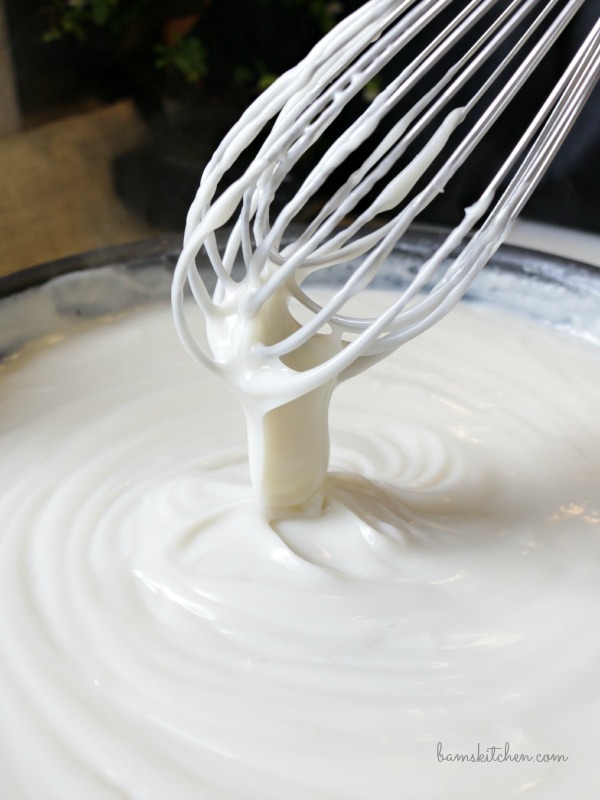 I wanted to learn how to make this delicious Philippine dessert, so joined in on the cooking, but I opted to make my version gluten-free, lactose free, vegan and low-fat. You know we are always the radical one in the group and have to be different. If you are looking for another easy, delicious melt in your mouth dessert from the Philippines, be sure to try this rich and decadent Filipino Style Cassava Cake. I have a lactose intolerance so I decided to swap out all of the heavy cream with almond milk and use low-fat coconut milk. You can use any milk exchange you wish but be aware that soy milk sometimes turns gray. 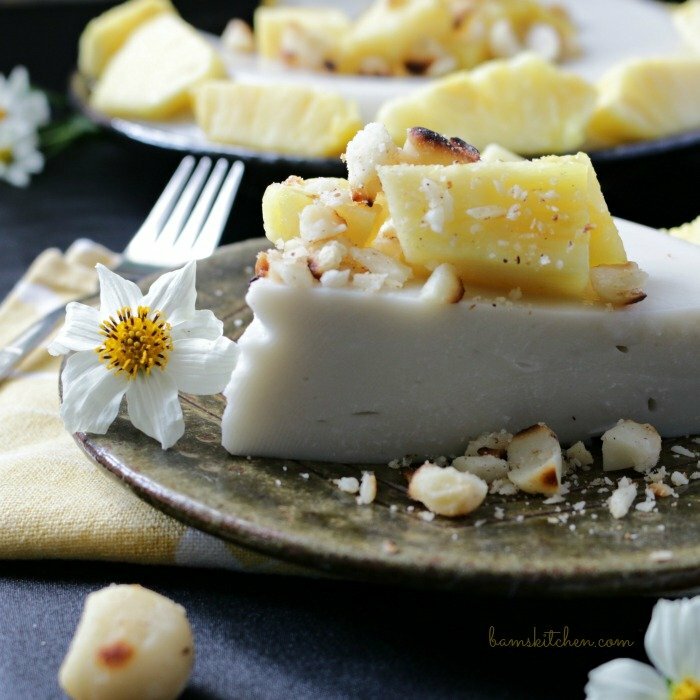 White or yellow coconut cream makes for a prettier maja blanca. 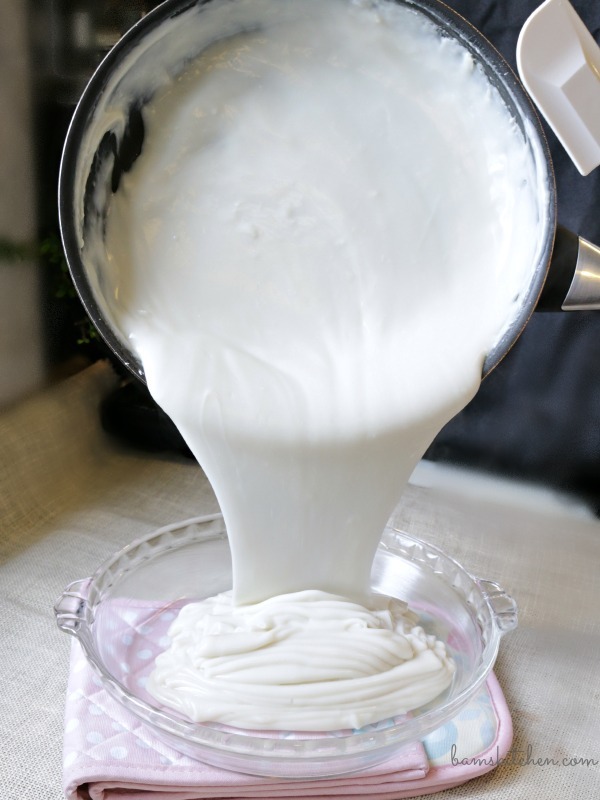 I think that 4 parts of coconut milk to 1 parts almond milk was a perfect balance of flavors but you can change that to suite your likes, you just need to end up with 5 cups of liquid milk type of product to one cup cornstarch. As you know, I do not like really sweet desserts, but only delicately sweet ones. You can exchange coconut sugar or alternative sweeteners as desired or the amount of sugar to suite your needs. If you want to make yours diabetic friendly, then use berries, instead of pineapple to garnish and of course sugar alternative instead of granulated sugar. 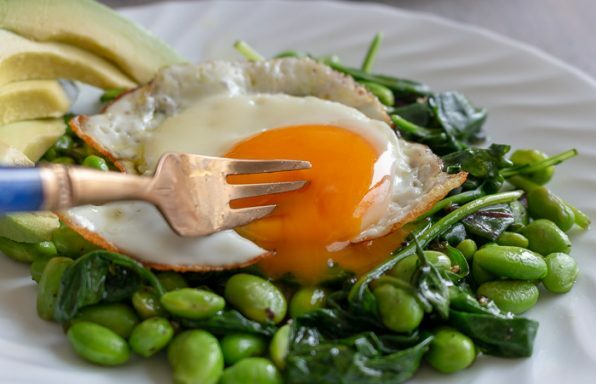 You will still need to count this as your diabetic exchange for a carbohydrate. My Tropical Maja Blanca version is lactose-free, gluten-free, vegan and the lightened up version of a traditional maja blanca. 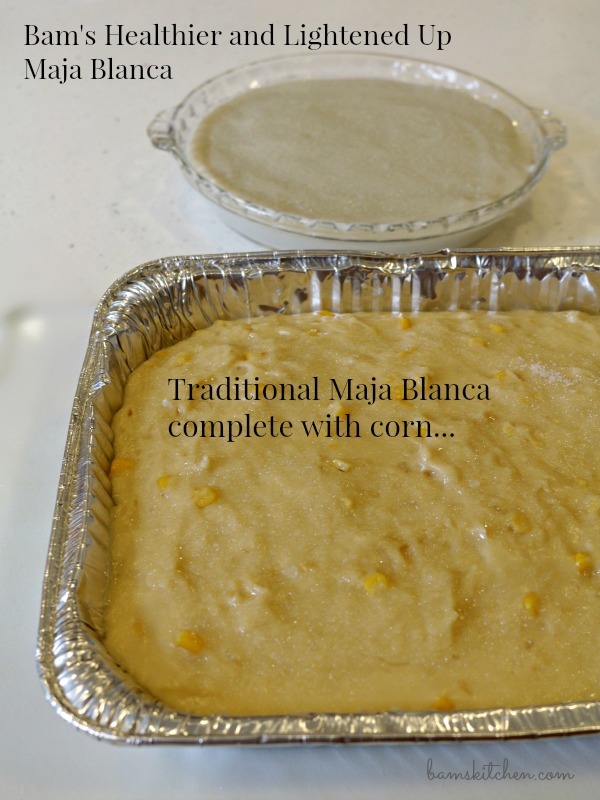 Traditionally, corn is usually mixed in the maja blanca (coconut pudding) with crushed peanuts on top. Yeah... I know what you are thinking... !!! 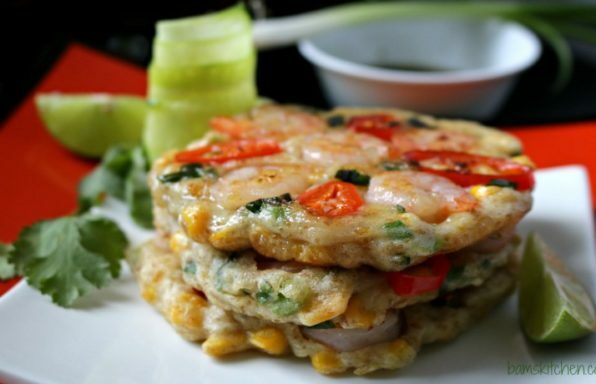 Asia puts shrimp, oysters and corn on top of their pizza too. 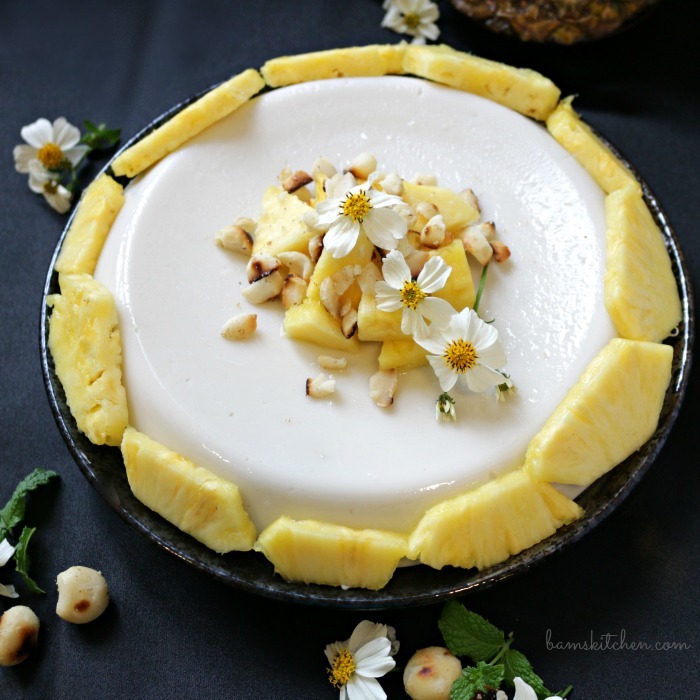 So with that in mind, I knew that you may not like that so I kept mind plain and smooth and creamy and instead topped it with tropical flavors to compliment the coconut pudding such as fresh pineapple and toasted macadamia nuts. 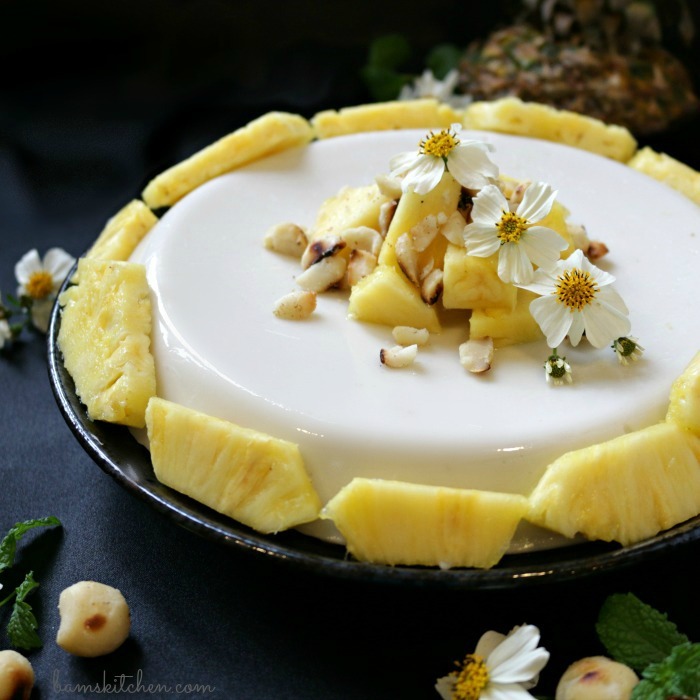 Have fun with your toppings as it is really nice to have something crunchy on top like nuts, toasted coconut and don't knock it until you try it but if you like corn, it really adds and interesting sweet taste and texture to this dessert. 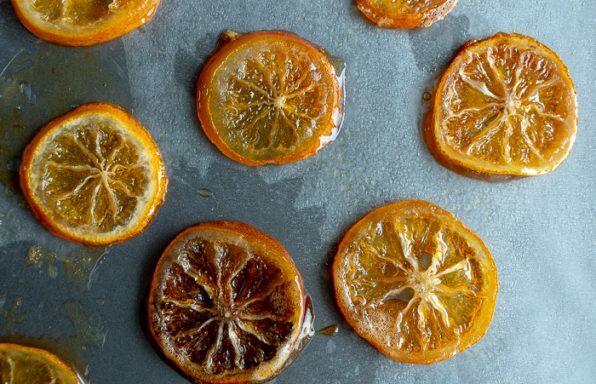 This is one simple dessert as you just cook it on the stove over low heat for about 15 minutes, pour in a dish and cool and eat. 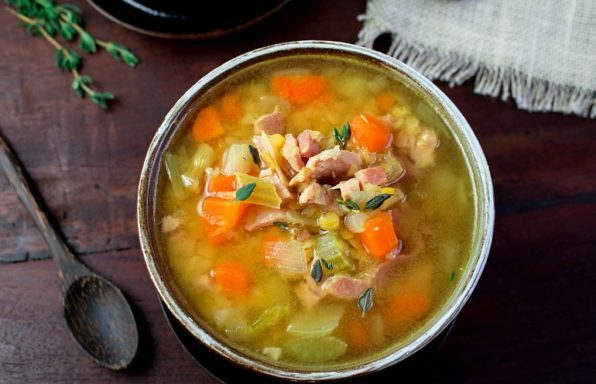 It has only 6 little ingredients, you have to love that! I put a little coconut oil on to my dish to prevent it from sticking but Shirley did not and hers did not stick at all either. 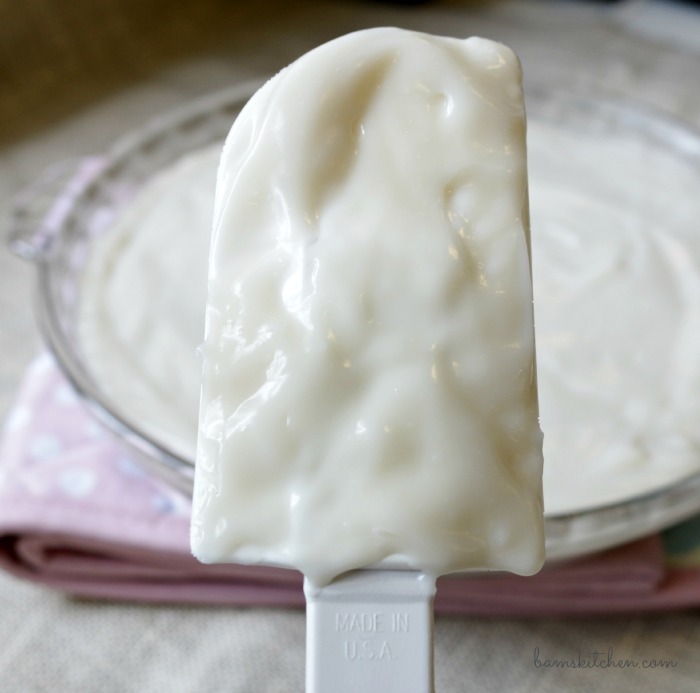 This is such and easy and tasty dessert and it makes you feel like you are on holiday in the tropics. 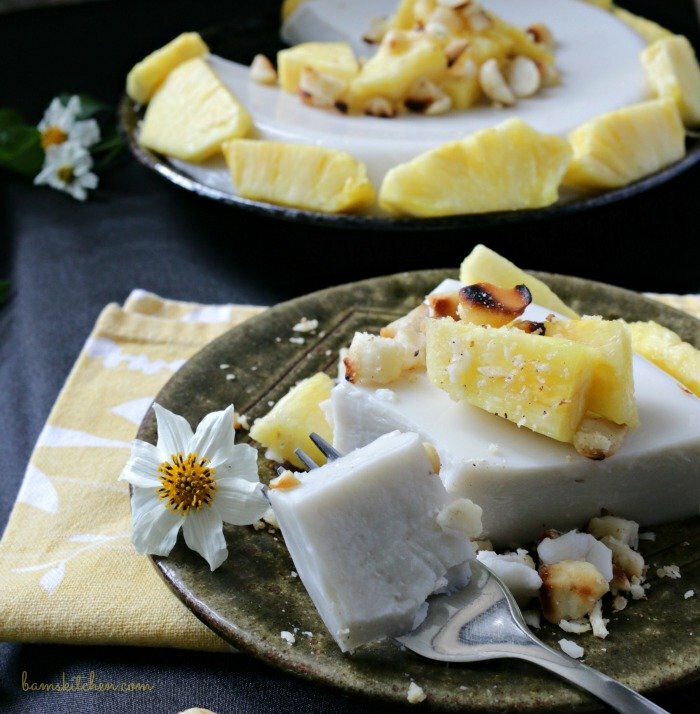 If you want a tropical menu to help beat those winter blues, then please try my Hawaiian Luau Rice, Tropical Thai swordfish and for dessert a slice of my tropical maja blanca. I am sure you will forget all about that cold white stuff on the ground. So what are you waiting for? 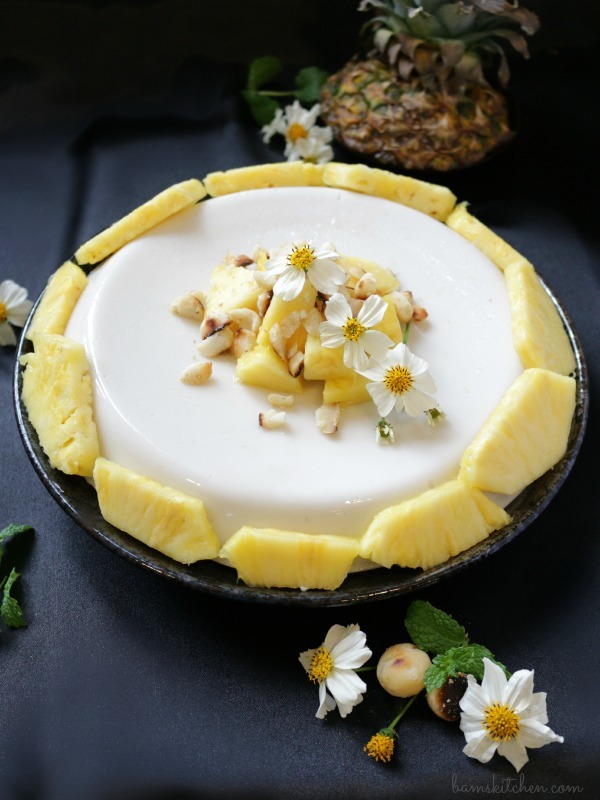 Turn on that Jimmy Buffett music on, whip up a tropical maja blanca dessert and lets take a mental holiday...to the tropics. 2Grease the bottom of your 9 inch pie pan or pan equivalency with coconut oil (optional) and pour inside your hot and thick maja blanca. Allow the maja blanca to come to room temperature and then put in the freezer for 1/2 hour and then transfer to the refrigerator for at least one and a half hours until set. 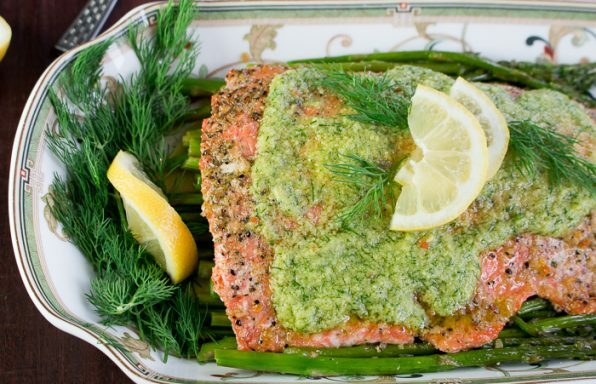 You do not need to put in the freezer but it helps to expedite the setting procedure. 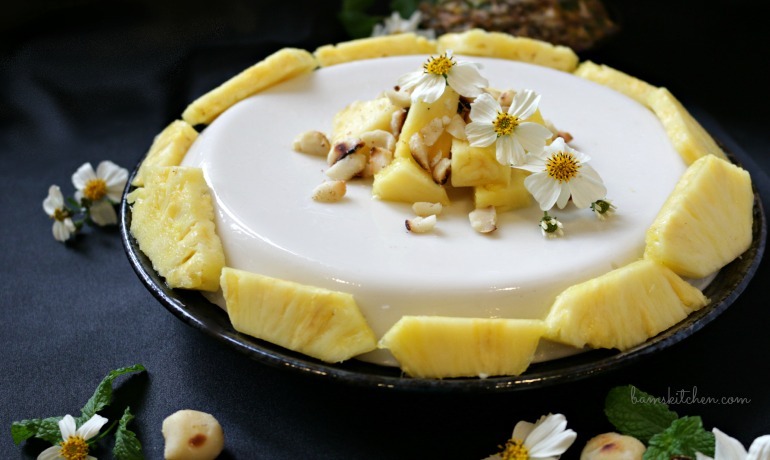 3Garnish your tropical maja blanca with pineapple and toasted macadamia nuts or anything your heart desires. 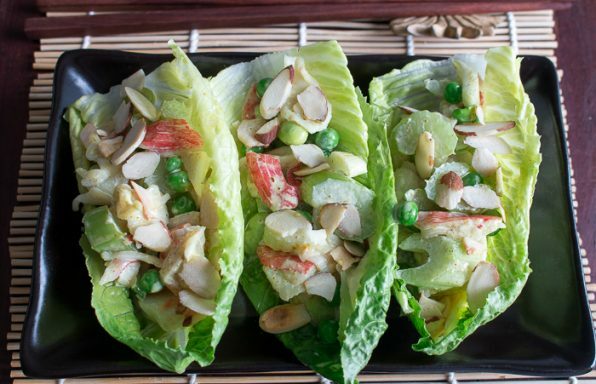 More traditional toppings include toasted coconut and crushed peanuts. Enjoy!